In 2011, Bayer and Johnson & Johnson introduced Xarelto as a new generation anticoagulant (blood thinner) medication for use in preventing blood clots in atrial fibrillation patients and after knee or hip replacement surgery. What made Xarelto special was that it was a once-a-day pill that would not require constant blood monitoring like traditional anticoagulant meds (such as warfarin). The problem with Xarelto was that it caused excessive bleeding and, unlike other blood thinners, there was no available antidote or reversal agent to stop excessive bleeding caused by Xarelto. As a result, many people who were taking Xarelto experienced excessive bleeding or internal hemorrhaging that could not be easily stopped. This fundamental problem with Xarelto eventually resulted in a mass of product liability lawsuits alleging that the drug makers failed to adequately warn about Xarelto’s risk of uncontrollable bleeding. There are currently over 21,000 Xarelto lawsuits pending in federal and state courts. MDL stands for Multi-District Litigation. MDL is a special procedure available in the federal court system where are a large number of related cases from across the country are centralized in one designated court before a single judge for efficient pretrial handling. In the last few months, 4 initial Xarelto cases have gone to trial – 3 in Federal Court and 1 in Pennsylvania. These initial cases were intentionally selected for trial to serve as “bellwether” results which would help guide future settlements and navigate the course of the Xarelto litigation. The initial results have been decidedly mixed. All 3 of the initial cases that went to trial in Federal District Court resulted in defense verdicts for the drug companies. In each of these cases, the federal juries found that the warning labels issued with Xarelto did adequately caution about the risk of uncontrollable bleeding. Plaintiffs have appealed all three of these verdicts to the 5th Circuit Court of Appeals. In the Pennsylvania case, however, the jury found that the drug companies did not adequately warn about the dangers of Xarelto. The jury in Philadelphia gave a staggering $28 million award to the plaintiffs. That verdict was later vacated by the trial judge and is pending on appeal but the case still gave a clear signal for potential future results. Following these initial bellwether results, the judge in the Xarelto MDL directed counsel for the parties to submit proposals for how to proceed. A status conference on those proposals was held on January 30, 2018. At that status conference, Judge Fallon explained that he was ready to “devise an end game” to the MDL. Judge Fallon has indicated there will be no more bellwether trials within the MDL. Moreover, some 800 cases will be remanded back to their originating “home courts” for trial or settlement. So it appears that the Xarelto MDL is currently in a winding down phase. To date the drug company defendants Bayer and J&J have steadfastly defended Xarelto and the adequacy of its warnings. With the MDL winding down, however, the drug companies and their defense team are now facing the prospect of defending the flood of 21,000 cases that will be remanded to homes courts around the country for trial. Despite 3 defense victories in the MDL bellwether cases, Bayer and J&J will now be under tremendous pressure to settle for several reasons. 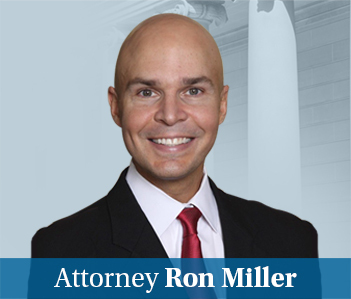 First, any confidence the defense team may have gained from their 3 initial victories was quickly wiped out by the massive $28 million verdict in the Pennsylvania case. Even if they win 75% of the remaining 20,000 cases, the defendants simply cannot afford to lose 5,000 cases if the price will be similar to that in the Philly case. Second, no matter how much they win the cost of actually defending 20,000 cases to trial across the country would be overwhelming. Finally, both Bayer and J&J (along with many other big pharmaceutical companies) will soon be defending themselves against a tidal wave of opioid litigation. Opioid litigation is just getting started and is expected to be massive in scope and cost (although I have my doubts about the merits of those cases). With this on the horizon, Bayer and J&J will undoubtedly be under additional pressure to resolve the Xarelto cases. On top of all of this, Bayer faces a huge threat to its very existence by the Roundup lawsuits. It would be a good idea for Bayer to get rid of these cases now. On the other hand, the plaintiffs also have some reason to put these cases to bed. But Johnson & Johnson and Bayer are cross-appealing int the 5th circuit claims that Xarelto’s label provided an adequate warning and federal preemption should result in the dismissal of most of these pending cases. Do I think they will win this? No. But any lawyer that is not a little scared of a dispositive notion is a lawyer that is not paranoid enough for me. So how much are Xarelto cases worth? Like any mass tort, the settlement value is much less than the trial value. The claims against Bayer and J&J involving Xarelto are very similar to those in a wave of lawsuits against the makers of another blood-thinning drug – Pradaxa. Pradaxa hit the market before Xarelto and ran into similar problems leading to thousands of lawsuits that were also consolidated into an MDL. The manufacturer of Pradaxa, Boehringer Ingelheim, opted to pay out a total of $650 million to settle the Pradaxa cases before the first bellwether cases went to trial. This averaged out to about $150,000 per claim. If you have taken Xarelto or another blood thinner medication and may have experienced excessive bleeding you may be entitled to damages. Contact our office at 1.800.553.8082 or submit a request for a free consultation.